A major in Mathematical Sciences can open many unexpected doors. By developing a mastery of mathematical tools and reasoning, students can pursue careers over a wide range of fields. Mathematics is used extensively in physics, actuarial science, statistics, engineering, operations research, computer science, business and industrial management, economics, finance, chemistry, geology, life sciences, behavioral sciences, and many other fields. Mathematics not only plays an important role in the sciences and engineering but also has applications in all disciplines such as art, music, business, economics, and healthcare. The Mathematical Sciences and the Mathematical Sciences, Teacher Preparation—Secondary School majors are housed in the Department of Mathematics, a vibrant community of 15 full-time faculty members dedicated to excellence in teaching and research. Classes are small and majors experience a high degree of student-professor interaction. Our facilities in the newly renovated Herman Hall, including the Math Center and student lounge area, are a great environment for collaborative work. Beyond the classroom, we have a Mathematics Colloquium talk series as well as three active clubs: the Math Club, the Society of Industrial and Applied Mathematics (SIAM) Club, and the Problem Solving Club. 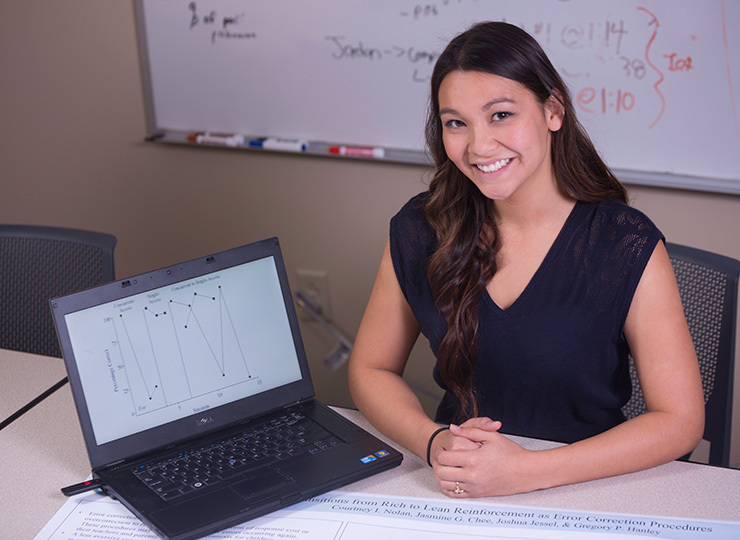 With either the Mathematical Sciences major or the Mathematical Sciences, Teacher Preparation—Secondary School major, you'll take courses in theoretical and applied mathematics that emphasize problem solving, inductive and deductive reasoning, and modeling. Core courses include Calculus I-II-III, Foundations of Mathematics I-II, Linear Algebra, Modern Algebra, and Real Analysis. Elective courses such as Number Theory, Graph Theory, Combinatorics, Probability, Mathematical Statistics, Creative Problem Solving, Mathematical Modeling, and more allow customization. Your capstone experience is Senior Project I-II, in which you work closely with a faculty advisor on a yearlong research project, culminating in a paper and a presentation at an undergraduate research conference, typically the Hudson River Undergraduate Mathematics Conference. Mathematicians are in high demand now and will continue to be in the future. The BLS Occupational Outlook Handbook predicts that employment of mathematicians is projected to grow 21 percent from 2014 to 2024, much faster than the average for all occupations. Our graduates with a B.S. in Mathematical Sciences have secured a variety of jobs including those at MassMutual, Fidelity, ISO New England, GE Capital, and The Hartford. Others have pursued a master's or Ph.D. at schools including Syracuse University, University of Connecticut, Wesleyan University, RPI, and Rutgers University. Graduates of the Secondary Ed major are currently employed as middle and high school mathematics teachers both locally and around the country. Mathematical Sciences may have interests in: Alpha Lambda Delta (First-year honor society), Math Club, SIAM Club, and Problem Solving Club. Many of our students also participate in varsity and intramural sports, special interest groups, and student government. The Department of Mathematics faculty members are excellent and dedicated teachers. We have won four of the 26 University-wide Excellence in Teaching Awards awarded annually, and some Department members have won similar awards at their previous institutions. Our faculty members are also active researchers and work in areas such as statistics, applied mathematics, nonlinear waves, number theory, algebraic geometry, and mathematics of origami. Some faculty members hold grants (including NSF grants) that support undergraduate research. All full-time tenured or tenure-track faculty members in the Department hold doctoral degrees. The mathematical and computer skills you will gain in the Mathematical Sciences major create numerous opportunities for exciting internships in many areas. Some of our students take advantage of internships at companies such as MassMutual, GE Financial, and local banks.